now available in bright yellow. 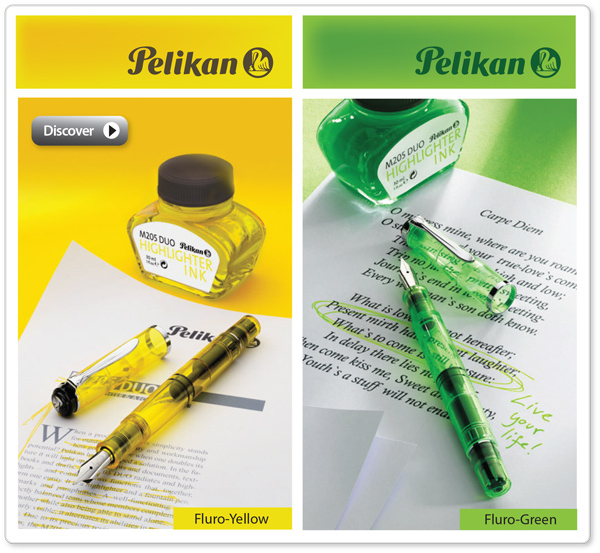 Pelikan has combined the function of a highlighter with a piston-filler fountain pen – its transparent neon yellow barrel lets you see its inner workings. The M205 DUO has a polished stainless steel nib in double broad width and comes with a bottle of fluorescent yellow ink. A terrific way to make clear, precise and memorable notes!